Meitu T9 comes with four cameras and offers a number of software enhancements. 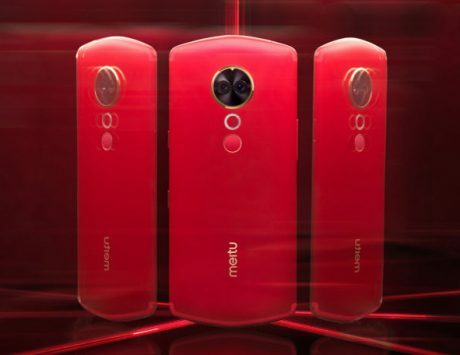 Meitu, the lesser known Chinese smartphone maker, has announced a new camera-centric smartphone in Taiwan. The Meitu T9 is aimed at those looking for premium imaging experience. The smartphone features dual camera setup at the front as well as rear. 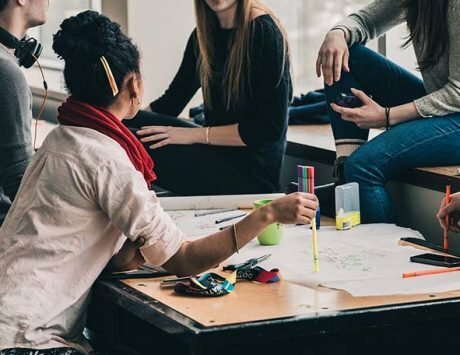 Since the focus is entirely on camera prowess, Meitu has equipped the smartphone with Sony IMX 363 image sensors, which offers incredibly fast focusing speed of 0.03 seconds. The company claims that this setup is able to capture detailed photos even in low light condition. There is also optical image stabilization on the front as well as the rear cameras. Meitu has also added camera technologies like “pyramid multi-dimensional portrait processing technology” that corrects the skin color and improves the detailing of skin. One of the key attributes of pyramid multi-dimensional technology is that it retains all the depth info in order to create a multi-dimensional 3D profile of the user, that can be saved for the future. As part of the portrait mode, Meitu also supports features like bone point recognition which combines with company’s MTlab for big data golden ratio algorithm. This algorithm intelligently adjusts your body proportion to achieve the final perfect look. 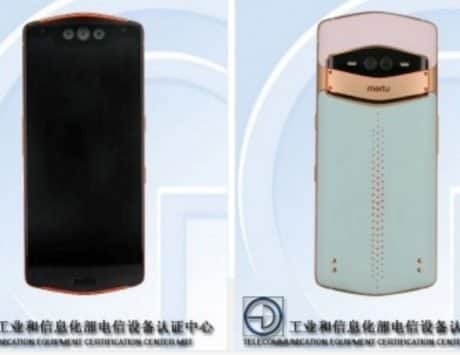 In terms of specifications, the Meitu T9 features an angular design with clean lines and circular enclosure for camera and flash components. The smartphone sports a 6.01-inch Super AMOLED display with a resolution of 2160 x 1080 pixels and 18:9 aspect ratio. Powering the device is a Qualcomm Snapdragon 660 chipset coupled with 4GB or 6GB of RAM and 64GB or 128GB internal storage. There is a dual camera setup at the front as well as rear comprising of 12-megapixel and 5-megapixel image sensors. 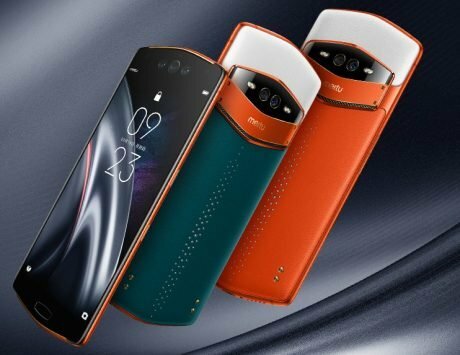 At the back, there is a ring-shaped flash followed by a fingerprint sensor. The smartphone features dual stereo speaker setup and smartphone runs Android 8.1 Oreo with layer of MEIOS 4.3. The smartphone is backed by a 3,100mAh battery and supports Quick Charge 3.0 with supplied 18W charger. According to GizChina, it is priced at 4,600 Yuan (around Rs 46,250) and is now available in Taiwan.